Let’s Play The Lying Game. Everyone has told a white lie in their lives. I have never been one of those people. Caution: Continue at your own risk for I fear I may be an unreliable narrator with a past I am trying to bury. Once in a while these lies creep up and haunt you, pulling you back into a past that you were trying to leave behind. 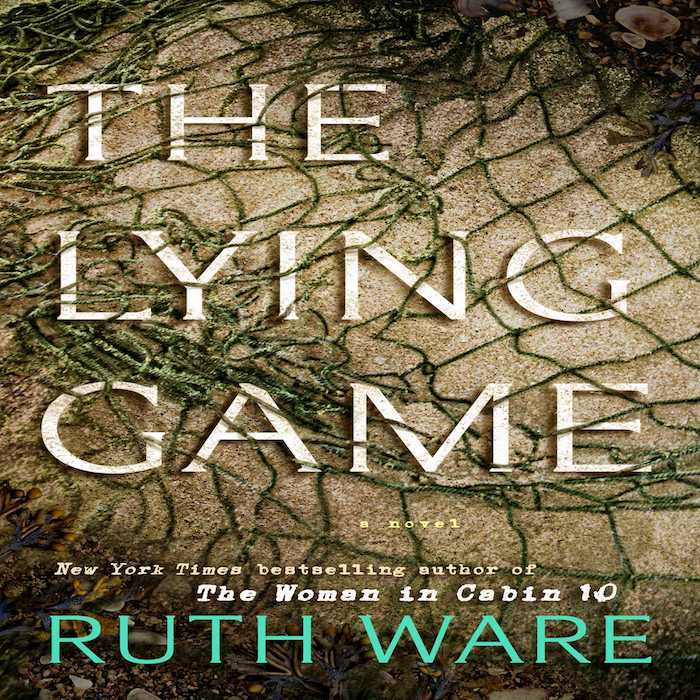 Ruth Ware explores the idea of lies and time in her new novel, The Lying Game. Three words: “I need you,” are enough to bring back together a group of four friends who have since let go of the secrets in their past while trying to move forward with their lives, but the disruption of a lie forces them back into the present. I was first introduced to Ruth Ware when her ground-breaking New York Times bestseller, In a Dark, Dark Wood, took the shelves by storm. Much like Agatha Christie, Ware grips her readers within her talons of mystery. She is able to develop multiple cliff hangers throughout the story that urge the readers on through the pages. This novel was deliciously tempting, and I could not put it down. Since, I have read all of Ware’s novels, including 2016’s The Woman in Cabin 10. I was immediately drawn into her world of storytelling, centering on a murder unraveled in both the past and the present which creates a dark and foreboding atmosphere for the reader to live in. Ware uses a similar technique in her new novel. The story is split into five sections that highlight the rules of the lying game. As the story progresses through the five sections, the reader is introduced more and more into the lives of the four, main women. Isa Wilde is the narrator of the story. A lawyer who has recently given birth to a baby girl with her boyfriend and has buried the past so deep that not even her partner knows the dark secrets that she has been hiding. The story flips between present time, where all the women are in their thirties and have not been together for a very long time, and the past, where they were just girls who were not aware of the consequences their bad decisions and seemingly innocent childhood antics carried. Ware’s story is shrouded in mystery and the plot reveals itself in a way that leaves the reader hanging onto the edges of their seats from each chapter to the next. Once you think you have the entire story figured out, Ware has one more trick up her sleeve to keep her audience’s pulse pounding and fingers ripping through the pages. One thing the reader has to keep in mind while obsessively continuing on through the novel: These women are notorious liars; Therefore, Isa could be an unreliable narrator. This adds another layer to the story when it comes to trust. How much of the story is actually true? Has Isa really grown past her old, lying ways enough for the reader to trust every word that she is saying? This asks the reader to play games with the text, or for the text to play mind games with the reader. The reader can decide for themselves whether or not these women are trustworthy, allowing for the mystery to seep deeper into the readers mind. The text itself is a physical version of the lying game these women played as children. Its reliability is haunting and secret enough to make the reader question everything. 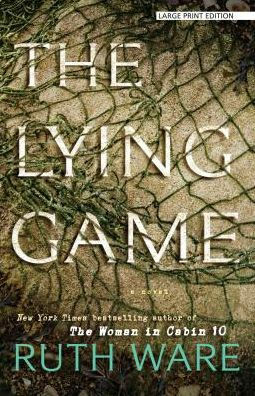 The Lying Game is multifaceted in a way that does not simply focus on the shift of time. The novel also stresses the importance of friendship, partnership, love and loss, and growth into adulthood. Time plays out in all of these to show how each character has evolved over the years and how they have allowed their pasts to influence their present. Some characters strive to move as far away from the past as possible, while others are stuck living in the past no matter how hard they try to move away from it. The question continuing to linger at the heart of the story is the mystery itself: Why are all of these friends being brought back together after all these years? The mystery increases in urgency as the book progresses toward its ending. The climax unfolds quickly at the end of the novel setting up a new future for the characters that their pasts did not initially allow. The ending of the novel is open ended, which leaves the reader hungering for more and wondering about all the lies that tore these women apart. There are many questions that remain unanswered by Ware, but this allows for the reader to meet her in a new space where they can decide for themselves how the lives of the women are going to progress after the truth has fallen into the hands of the authorities. Know when to stop lying. It seems that my lies have caught up to me in the present, and just like Isa Wilde I have something to confess: The Lying Game is haunting the shelves of your local bookstore waiting for you to crack open its spine, trace your fingers over the words of the mystery, and try to solve for yourself exactly what is hiding within the pages of Ruth Ware’s new suspenseful drama. P.S. I fear I may have lied to you at the beginning of our time together, but in closing, I have learned my lesson and urge you to your nearest book store. After all, everyone has told a white lie in their lives.